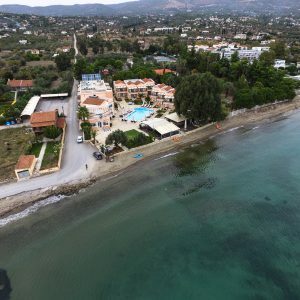 The Port of Kameiros – Skala is located on the west coast of the island of Rhodes, about 45 km west from the islands town center and 4.5 km south of Kritinia village. 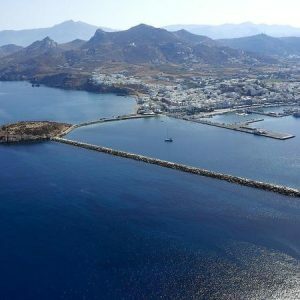 The existing port facility is serving a ferry fleet connecting Kameiros with Halki island, the fishing fleet of the region and a few transit pleasure boats during the summer months. 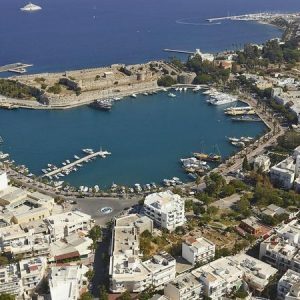 In 2010, the Municipal Port Authority of South Dodecanese published a tender notice for upgrading and expanding the existing port, with extended capabilities to provide occasional berthing for ferries serving the island of Rhodes when adverse weather conditions prohibit approach to the main port of Rhodes. CNWAY Engineering Consultants out bided the competition and the contract was signed in 2014.